Time to talk about the ZPacks Duplex Tent. In September of 2013 ZPacks introduced the “Duplex“, a 2-person version of their 1-person “SolPlex” shelter. 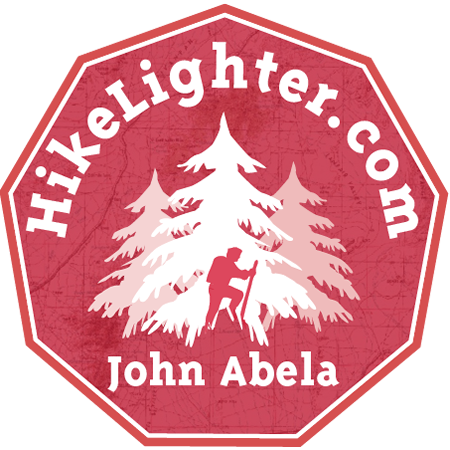 It has since gone on to be used by multiple thru-hikers and has gained some serious love by hikers around the world. I finally saved up the cash to buy a Duplex and have been exclusively using it ever since. The LineLoc 3’s and glowire are obviously not necessary, I just prefer using them, so that can bring the shelter price down to $685. If you use two trekking poles you can save yourself the $45 dollars for dedicated tent poles and the price comes down to $640. And, if you have something against camo, the price for the shelter is obviously $595. Additional hardware for closing the doors (more on that below) cost me another $13.99. I also do something very unusual, and every hiker that has seen it has looked at me and said something along the lines of “never seen that done before, good idea, weird, but good idea. I’m going to give it a try!” What I have done is purchase the “LineLoc 3 Line Adjusters with Loops” that ZPacks sells, I then reverse feed them with the guylines, and drive my stake through the loops. This gives me the ability to have a loop for my stake, and an easy way to tighten up the guylines. I was just looking at those looped LineLoc 3’s one day and the idea hit me, so I tried it, and I have used that method ever since. Obviously not something for those that do their shelter the Skurka way, but it has served me well so I just stick with it. Not going this route would reduce the cost by another $5.60 – for those who think this idea is stupid – which, it probably is, but it just makes it soooo much easy to setup and adjust the shelter. So all said I have $717.54 invested into the shelter, but has I have clarified above, that is far from what a person needs to spend buying a Duplex. Is that a lot of money for a two-person, or in my case, a single person, tent? Yes, of course it is. Most of us do not have that kind of money just sitting around and it can take a long time to save up that kind of cash, it sure did for me. But when I went looking at other fully enclosed two-person shelters, the extra money just made sense, to me, especially once I started looking at the weight of these other shelters. This is not to be critical of these other shelters, it is just a simple – yet expensive – matter of the cuben fiber fabric being less weight. The Hilleberg Rajd is right at $500 bucks, but it will be over twice as heavy (over 40 oz). The Six Moon Designs Lunar Duo Explorer is $370 dollars, but it too is over twice as heavy (over 44 ounces). 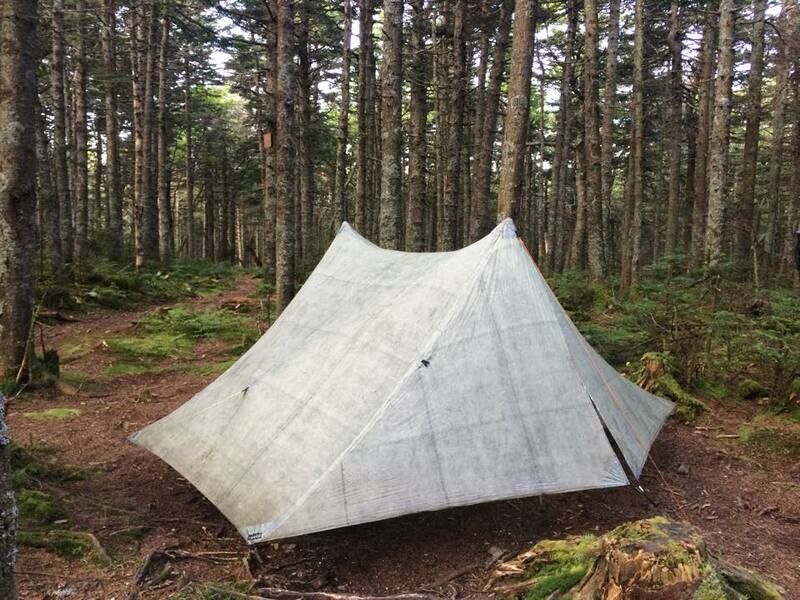 The Tarptent Double Moment is $350 dollars, but it is above the 3 and a quarter pounds, at 52 ounces. 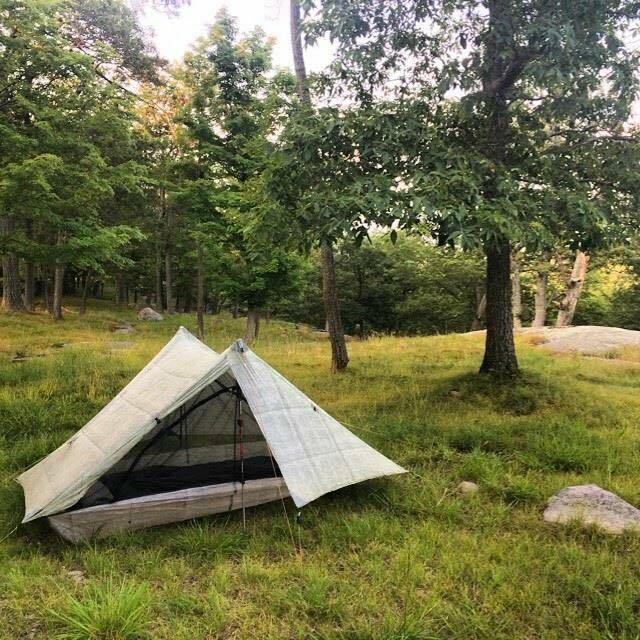 That is not to say that none of these other shelters are bad, in fact I consider the Lunar Duo Explorer to be the best non-cuben-fiber two person shelter out there. The Double Moment is right behind it. The ZPacks Duplex, the moment it came out, and still is as far as I know, is the lightest weight 2-person shelter with two doors that is being manufactured. That is obviously something that matters a great deal to me. You just need to ask yourself the same question that I did: “do I want a 20 ounces shelter or a 40 ounce (or heavier) shelter”. Your choice will dictate how long you have to save up money for a new tent. Simple as that. So the rest of this article/review is going to focus on the features of the ZPacks Duplex. I am not going to go into every feature the shelter has, just those ones that really speak to me. Some of the features that I will talk about have been addressed by others that have reviewed the Duplex, and some of the features I talk about have not yet been addressed. 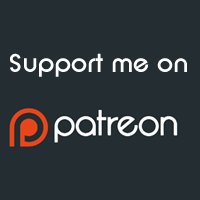 Other reviews worth reading are: Jacob over at HikeItLikeIt (who, if you do not already follow, you should, he does some of the best reviews out there), Willis Wall, Fellbound, BoredInTheSouth, and the great Francis Tapon has even done a video on the Duplex! (ps: I agree with him regarding the stuff-sack… every single zpacks shelter I have ever gotten, the stuff sack was too small and I have had to use a larger one I had sitting around). 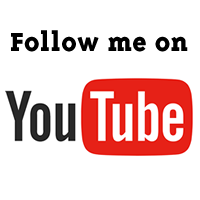 And if you have at all been interested in the Duplex I am sure you have already seen the pre and post AT videos by Will (Redbeard) Wood. So, onto the features, review and thoughts! The bathtub floor of the Duplex is one of the biggest selling points of this shelter for me! Living in the Redwood forest and spending as much time as I do out on the trail, for a good part of the year every day that I setup my shelter it is raining, the ground is wet, the ground is muddy, and chances are a small stream of water is flowing somewhere nearby. Having a bathtub floor that will keep water out of the shelter, for when the ground gets so saturated, or I am just forced to set up in a non-ideal location, is of the utmost importance. A full 8 inches of bathtub floor height! Both my Solplex and Duplex have this wonderful bathtub! I cannot begin to count the amount of times that having a nice deep bathtub floor has saved my gear from getting wet and muddy. ZPacks Duplex, Pukaskwa Coastal Trail, Canada. Photography courtesy of Bayden Cline. 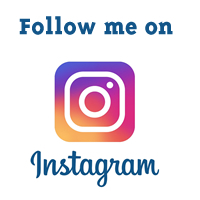 There has been a fair amount of chatter about the storm doors that ZPacks uses – I have talked a lot about them on my facebook page, just to throw in my own 2-cents on the discussions out there. There are two aspects to these doors. First is that the “inner” part of the tent is ‘inset’ an inch or two from where the doors are at. This means that rain can come straight down and not hit the doors. This was such a crybaby issue a couple years ago, all over the internet. Not just for ZPacks but I suspect all the tent makers were hearing it. So, it was nice to see ZPacks take the step to go this route, as it really does work. Secondly are the doors themselves. Each side of the shelter has two independent doors. They are secured and not removable. When both are closed, one of the doors overlaps the other door. One, or both doors can stay open. In fact, except for the truly insane weather conditions, the best route is to leave all four doors rolled up (open) so you can get the maximum amount of airflow through. Obviously if you want some privacy, close them. Obviously, if you have horizontal rain spray, close the doors on the side where the rainspray is coming from. A hiker would have to be in a truly horrific storm to find a need to close all four storm doors. I have done it, out of necessity, only twice. I have done it other times to test out condensation, wind flow, and other aspects of shelter testing that I do, but for the most part, pretty much every night I sleep in the Duplex, all four storm doors are rolled up. These designs are nothing new to the tent world, let’s just be clear about that, for those haters out there. Yes, nothing new here. But they are still worth talking about, because inset inners and storm doors really do work! A view of the inside of my camo version of the ZPacks Duplex. This was taken early in the morning as the sun was just rising. Significantly darker than 0.51 or even 0.74 cuben fiber. It is hard to talk about a single wall shelter and not have the issue of condensation be brought up. The massive amount of bug netting on the ZPacks Duplex allow for an insane amount of airflow through the shelter. This of course is the key to reducing condensation. I have only had two mornings when I woke up with major condensation on the inside. This was because I set up on some very wet and muddy grass/weeds/bedding – because that was the only spot available – and setting up a shelter on that type of stuff pretty much always results in condensation in any single wall shelter. I did have all four storm doors open, but that is just the nature of setting up on super wet ground. 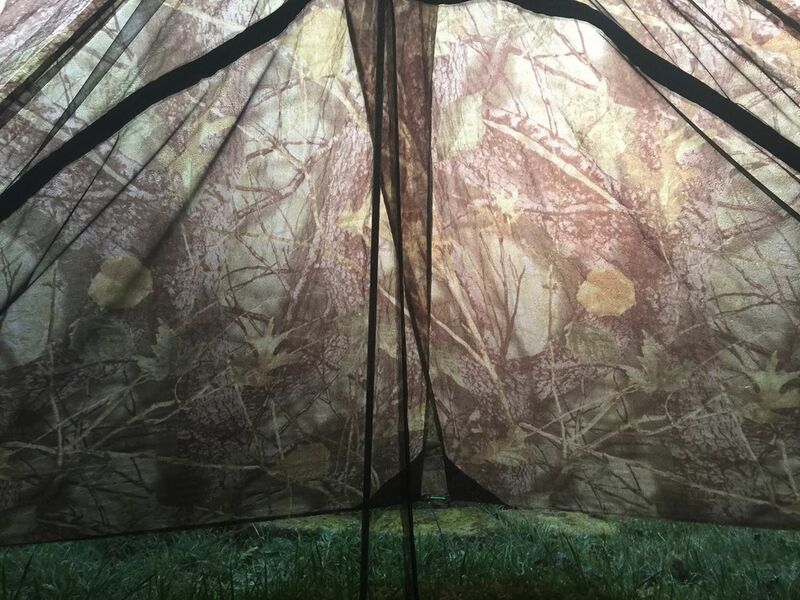 You can reduce this type of condensation, when setup on really wet ground, by using a huge ground cloth that goes out three or four feet from all sides of the shelter, but I do not own a groundsheet that big, and the one that I do own I rarely use with the Duplex. Because the Duplex has an Inset inner, as talked about above, this allows you to keep the storm doors open in almost all weather conditions. This ability to keep the storm doors aids in having a shelter that does not suffer from really bad condensation. IF you find yourself in a situation where you have to have all four doors closed, because of some crazy freak storm, well, the very nature of single wall shelters should just be something that you know is going to cause you condensation. Just have a microfiber cloth ready to wipe things up in the morning. One of the most important features that I think a 2-person shelter can have is headroom. Specifically, sitting-up-headroom. You know when you go to sit up the first time in the morning, and there is that condensation on the inside of the shelter, and bam… your head gets all wet and all that condensation falls into your quilt… yeah, we all hate that. Now thankfully the Duplex does not have a lot of condensation issues, but it still is nice to be able to sit up inside of a shelter and not hit your head. The ZPacks Duplex does not suffer from this like a lot of 2-person shelters I have been it. It is no TarpTent Double Rainbow, probably the pinnacle of shelters that will never have a head-butting issue, but I have been in a whole lot of shelters that are horrible compared to the Duplex. Probably the easiest way to solve this is to use the mid-panel guyline and a stick off the ground to raise the huge sidewall fabric UP instead of down, if you don’t use a stick. You actually end up losing a couple inches of head/foot space by staking out that guyline directly to the ground. I like to find a stick that is about 5 feet tall (1.52 meters) and use it for the head end of my shelter, and something that is around 4 feet (1.22 meters) for the foot end of the shelter. This simple extra step, while setting up your shelter, can result in a shelter that gives you a remarkably and surprisingly additional bit of head/foot room inside of the shelter, and all but solves the head-butting issue. 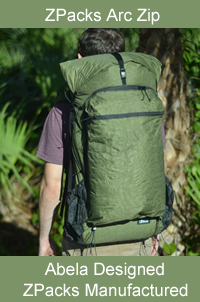 ZPacks Duplex, in camo fabric. In the shade or in the trees, the camo fabric looks great. Also an excellent option for those that like the inside of their tent to not be super bright. I have, for a rather long time, made the statement that weekend style hikers (those who spend less than 50 nights a year out under the stars on the trail) should choose the 0.74 weight of cuben fiber fabric. I tend to feel this way for three reasons: first is that the higher spectra threads in the 0.74 make it significantly more durable. This is not to say that weekend style hikers do not treat their gear with the utmost respect, many do, but it gives those who might not otherwise have the experience to find the best campsite some extra shelter durability for if they do not pick an ideal location. Falling pinecones have been the end-story of a number of cuben fiber shelters. Same with small branches that fall off in windy conditions. These are the type of things many experienced hikers take a moment to look for before they set up their shelter. The second reason is that if you are going to invest $600+ bucks for a shelter of this quality, the extra $15 dollars or so for a shelter that is stronger, well it just makes sense, and big-whoopie-doo to the extra ~60 grams… that is inconsequential to a weekender AND the duplex in 0.74 is still the worlds lightest 2-person shelter with 2 doors. Lastly, the 0.74 cuben fiber is a darker fabric, so that means less bright sun blinding you in the morning, less moon light at night when all you want to do is go to sleep, and a bit more privacy – if any of those things matter to you. I tend to think that if you are a thru-hiker, going with the default 0.51 fabric is a really good choice. You are going to be (well, hopefully) more conscience of your surroundings, you are going to probably care less about the sun/moon, and as many thru-hikers quickly learn, “privacy, what’s that?“. Another option that ZPacks offers is a .67 fabric that has a camo pattern. It is the standard 0.51 cf with a layer of camo fabric that is 0.16 oz/sqyd. 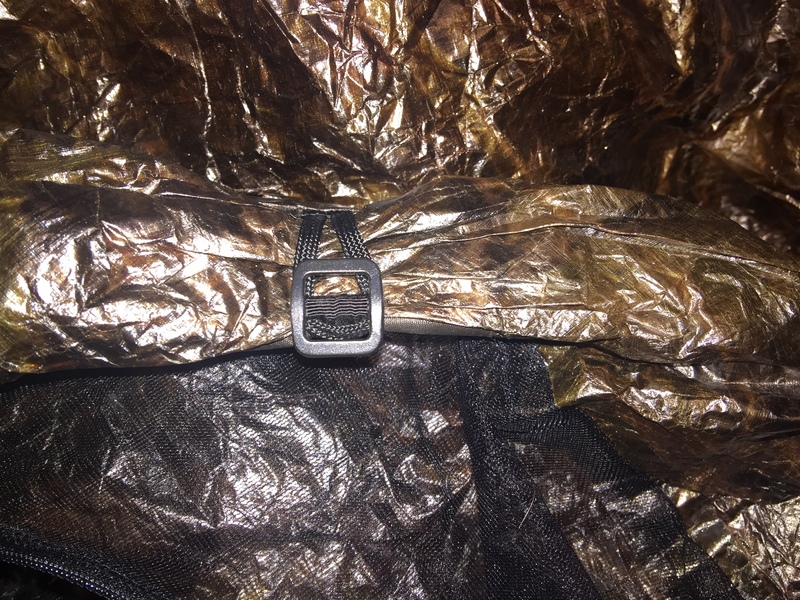 At the time this article has been published this fabric costs an additional $45 and will add around 45 grams (1.59 ounces) to the overall weight of the shelter. It should be noted that the camo is only on the top part of the shelter, the bathtub floor is made of the standard 1.0 oz/sqyd fabric that ZPacks has used on their bathtub floor since the dawn of time. If you are like me, you probably think “a real hiker does not use camo… that stuff is for survivalists, hunters, and such”. Well, let me just say from experience, the pattern of this camo cuben fiber is nothing at all along the lines of that. I mean, yeah, a hunter could go with this fabric without problems, but this is one of the few times I have seen a camo fabric that actually works as a hiker quality camo. I can say this with certainty because I took the risk and bought mine with the camo fabric, and after having used it, it really does not have that “oh, that guy is just a hunter” camo stigma. Why should a hiker go with the camo? 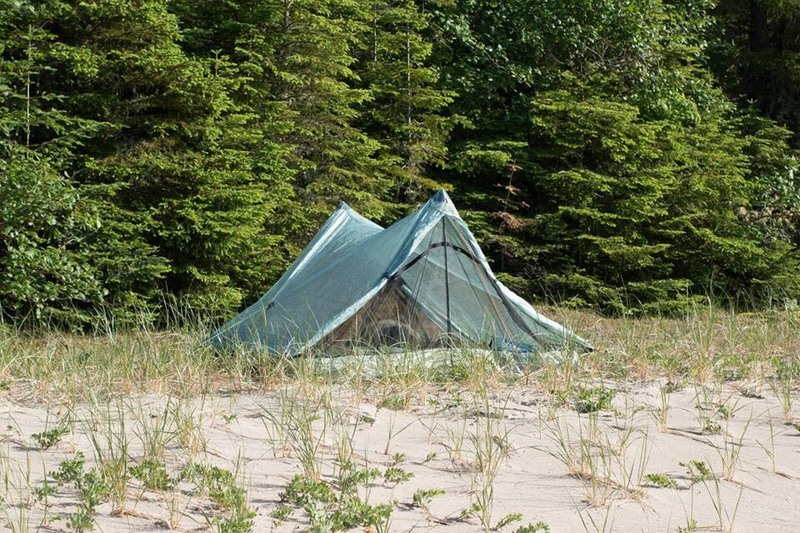 Two reasons: first, it is darker inside than any of the 0.74 cf options (and I like a really dark tent) and second, for those hikers that do stealth camping – be it legally or illegally. This is a term we like to throw around. It helps explain how much space is inside of a shelter that ends up being usable, vs space that just ends up becoming a void because of shelter design. Something like the ZPacks HexaNet is only 36 inches (91 cm) wide, but it angles upward very steeply, so you lose a lot of shoulder/head livable space. These are great if all you do is get into a shelter and fall asleep. The narrower a shelter is the lighter it will be. The ZPacks SolPlex, a shelter I have used and written a fair amount about, has a floor width of 30 inches (76 cm), however the shelter has a secondary pole, it results in a shelter that does not slant as aggressively as the Hexamid+HexaNet, and therefor you get more ‘livable space’. At least, that is what folks, including myself, like to try to explain things as. The ZPacks Duplex has a floor width of 45 inches (114 cm). This means that two people can get into this shelter with a bit of room to spare. 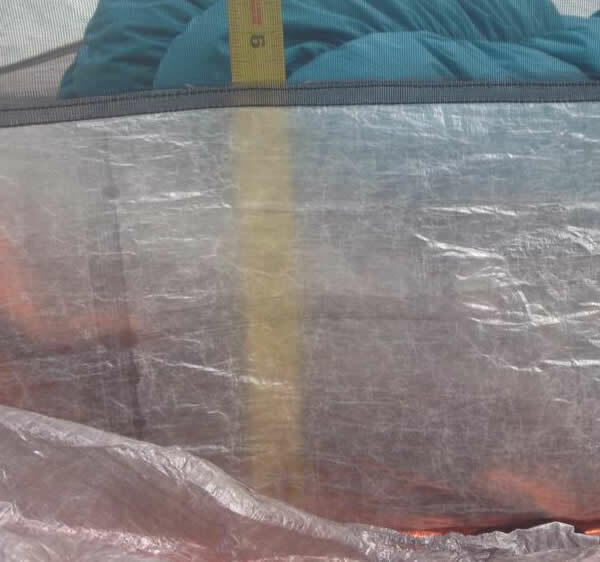 To compare, the TarpTent StratoSpire 2, a rather massive feeling 2-person shelter, has 52 inches of floor width. 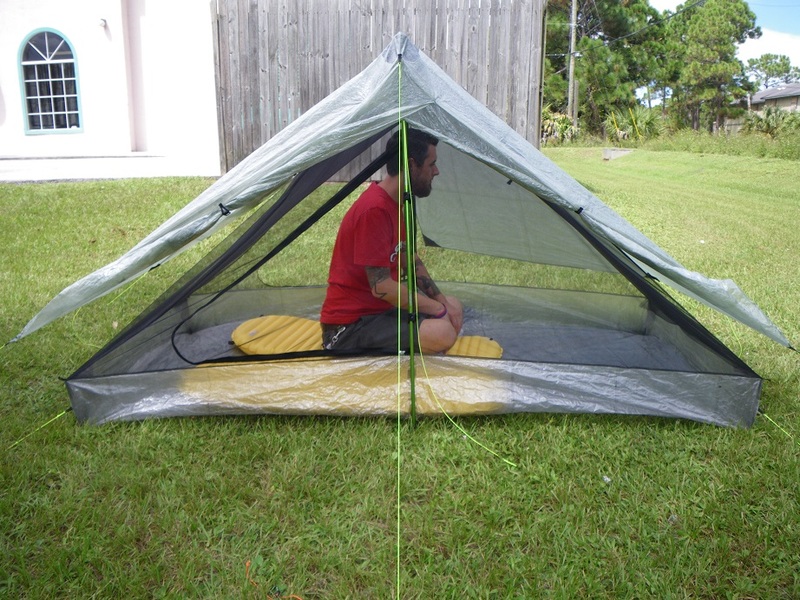 The Six Moon Designs Lunar Duo Explorer, my favorite non-cuben-fiber 2-person shelter, has a 54-inch floor width. 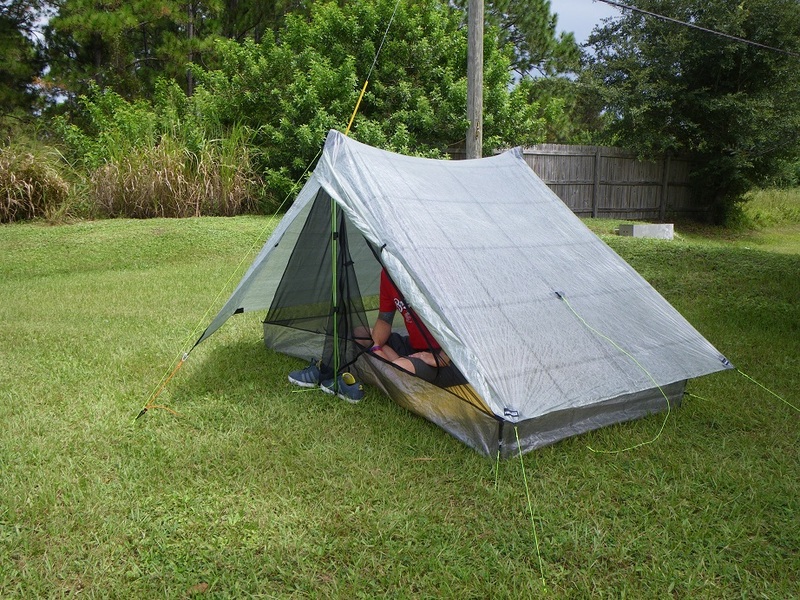 The Hyperlite Mountain Gear Echo II, the most bombproof cuben fiber shelter on the market, tapers from 51 inches down to 45 inches of floor width. And the Big Agnes Fly Creek 2 Platinum, a worthy 2-person shelter in any comparison, tapers from 52 inches down to 42 inches of floor width. I am happily single. So why did I buy a two person shelter? Well, because I wanted extra room. After more than a few years inside of solo shelters, I just wanted more room. There really is no other, no better, answer. I wanted a shelter that I could get into, out of the pounding rain, have my gear inside, be able to do a 360 inside of, and, of course (giggle) the really important thing… I wanted something that my shortened-in-length Klymit Static V Luxe would fit into, its a beast at 30-inches in width but wow is it nice for a side sleeper. I am far from the only solo hiker that has fallen in love with the ZPacks Duplex. Will (Redbeard) Wood has done up two amazing videos on the Duplex, a pre-AT-hike video and a post-AT-hike video. In my asking around of others that have the Duplex, it seems about 85% of those that have bought them use the Duplex as a solo shelter. Rather surprising high, but it also attests to the fact that livable space is meaning more than a few extra ounces of weight for a lot of hikers. To me, this is the huge stand-apart feature between the ZPacks Duplex and the ZPacks Hexamid Twin. Yeah, the Duplex has a nice bathtub, but the really important difference for most folks buying the Duplex is going to probably be the double-doors. So for me, the double door system of the Duplex gets a solid “win”. Here are some modifications that I have made, or would like to make, to the ZPacks Duplex. These are not to indicate that ZPacks is doing anything wrong with the way they make the shelter, just modifications that have me go “hmm, I would like to change this aspect of the shelter”. Please do not hold these issues against zpacks or keep you from buying a Duplex. These are just petty issues on my part for the sake of making things work a bit smoother for me. ZPacks uses some square hardware on the storm doors which annoy me. Switching to some tac-toggle, or similar, hardware seems like it would make it easier to use – especially during the winter season when wearing gloves. If I could figure out a way to attach some tac-toggles I would do it myself, but it looks like it would require a sewing machine to make it happen. (note: zpacks has informed me they are going to try out using some tac-toggles, no idea if they will make it into production) Update, April 17, 2015: Per Joe V. from ZPacks, in a comment below, ZPacks has changed away from using the square hardware and is now using tac-toggles!! 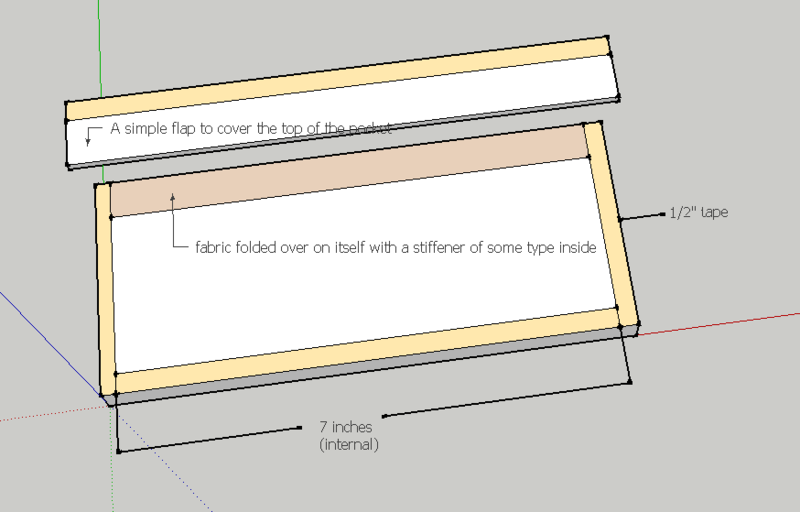 My idea, which I submitted to zpacks, for an internal storage pocket. Seems simple enough. Pockets along the inside of the bathtub floor. Probably, at least, once a year I bug ZPacks about putting pockets on the inside of their bathtub floor. It would be soooo much easier for them to do it than for us to have to DIY – it means buying fabric, buying some 2-sided cb tape, and doing all the cutting and application. The folks at ZPacks could probably do it in a matter of a couple of minutes, as they are building the bathtub floor, but that is neither here nor there, as they say. I am wanting to add four pockets, one in each corner, which would allow me (or more ideally: two people) to have storage regardless of which way they face, or even head/feet style. It just seems like the extra ounce or two (or whatever) for pockets should be one of those standard features of shelters in this day and age. 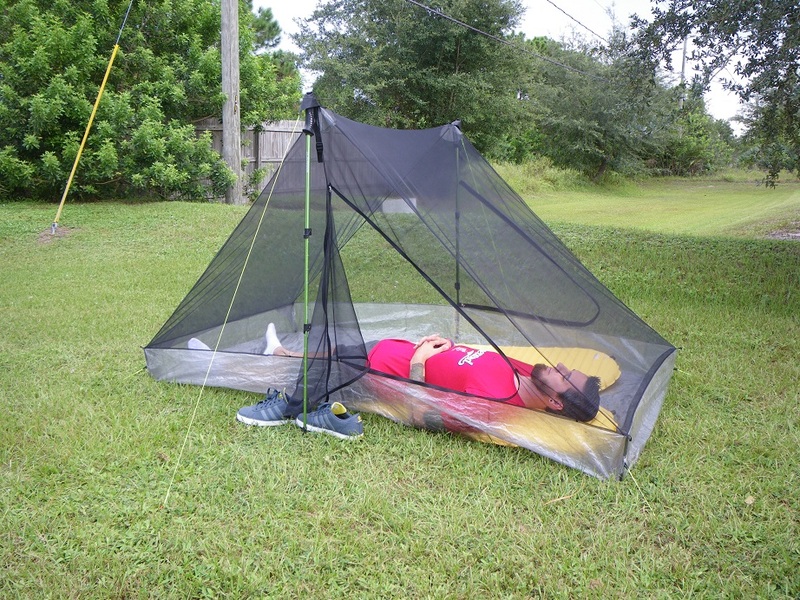 Update, April 15, 2015: After posting this article, and once again talking with ZPacks about adding pockets to their shelters, they are now including mesh pockets as a standard feature on their entire Plex line of shelters! ZPacks has also made them available as an aftermarket purchase for those that already have their Duplex. My thanks go to ZPacks for their willingness to make these! ZPacks has since updated their door system to do away with the carabiner and have switched to a specially made for them hook. The last of these very minor and rather petty modifications is the carabineer on the door guylines. If you have gloves on, it is almost impossible to get the door open or closed with such a tiny biner. Switching out the binner to a couple of snap hardware like I explained in this post over on facebook, is just one of those things where the miniscule weight difference is just a no-brainer – and I would love to see ZPacks change away from using that carabineer to something else. I just like having the ability to really easily and quickly get into and out of a shelter when it is raining really hard. The easier of hardware I can find and use, the less chance of my clothing getting water, and thus water working its way into the shelter. The weight for the four LineLoc Buckles that I am using is rather inconsequential and it makes closing the storm doors a lot easier. There is just not a clean way of attaching them due to the D-ring that zpacks uses at the end of the storm doors. And of course, ZPacks is almost always willing to make custom changes when you place your order, I just did not know about the method I am using now at the time I ordered mine – you could probably get them to attach the lineloc buckles to the end of the storm doors instead of the d-ring if you like my idea so much to make such a modification. (note: zpacks has informed me they are re-working the way the doors are secured. they are not going the route I have, but what they shared with me does look like it will make it easier to close/open the door – not as easy as the lineloc buckle method I am using, but still easier than that little carabineer.) Updated: ZPacks has changed the hardware for their door systems. They have worked with another cottage gear company, DutchWareGear, to create a unique hook for easily hooking the d-rings. On a trip where one of my photographers went with me to do photography of a trail I am designing, we decided to grab our phones/cameras and shoot some video of setting up our shelters. For me, I had the Duplex, so here is a 10 minute video of setting up the shelter. It does not normally take this long, but we were yapping about the days hike, so I was not fully paying attention. I also had the front stake almost completely pull out of the ground, so that really screwed up my setup. I had no intentions of doing a “second shoot” just to have a “perfect setup video”… I am just not that kind of person, and honestly, if you spend enough time on the trail, you just come to expect that sometimes, the tent is not going to go up perfect, just deal with it and move on. Anyway, I think the video came out good enough to be used as a clear example of all these facts. I hope the voice-over sounds ok and that the two different camera views meld together well, that is not something I usually do. Been getting a lot of requests about how well the camo cf fabric is when it comes to privacy, so I have done a video showing this. As can be seen, it is almost impossible to see my bright white clean t shirt through the fabric, when I first hide behind it. And, later in the clip when I have doors on both side of the shelter closed, it is all but impossible to see that bright white tshirt. I shot this in 1080p so go fullscreen video to really see just how good of a job the camo CF does at daytime privacy. Do you enjoy the sound of rain on cuben fiber? Are you not able to go to sleep at night if you don’t have rain hitting your cuben fiber tent? The below video shows the final door modifications that I had ZPacks put together for me. It is not the easiest to use, but it is by far one of the most diversified methods I have come up with, allowing a huge set of additional ways to adjust how I want the doors to perform, important in wet and super hot conditions. I have used dozens of shelters over the last six years, in all types of weather condition. I bought the Duplex for the specific purposes of (a) having a shelter that gave me a lot of room, while (b) being almost as light as my solo shelter, and (c) giving me the maximum about of protection that I can get from a single wall shelter at, or as close to, the 20-ounce mark as I could find. The shelter has survived 10 days of straight rain (which should be a no-brainer, any shelter should be able too), and it has survived 50+mph wind gusts multiple nights, it has kept me completely dry in situations where I had 3-5 inches of water outside the shelter (yeah, that was a bad spot to setup) – and lastly, unlike other tents in the past when I got it, used it for awhile, and got bummed about how much money I spent on it, I can say without question that the money it cost me to buy this shelter, I have not once felt bummed I spent so much on a shelter, because this is the first time when I have absolutely know, it was totally worth it. I second the interior pockets. It’s the one design feature I found lacking. Two would be great. If you have the money this is the tent to get. PERIOD. Maybe I’m reading it wrong, but I don’t understand why someone would want to use a huge ground cloth that extends a few feet from a tent. I’ve always been taught to cut the ground cloth SMALLER than the tent. Otherwise it will collect rain water and then you’re sleeping over a pond. Well yeah, you are right. But the point I was making was if you are forced to setup on wet grass, a huge groundcloth can go a long way to helping cut down on condensation. As I am sure you well know, if its going to be raining so much that a pond forms outside your shelter, condensation elimination is just a wishful dream. No matter what you do. 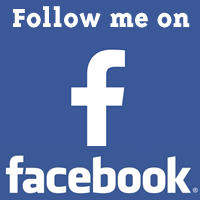 Thanks for taking the time to stop by, read, and share your thoughts! Thanks for a great review. I’m starting to save the money for one in the ZPack range! This is a very helpful review, John. Thanks for taking the time to be so thorough. But as always, potential buyers have more questions, and I have two. First, this is marketed as a 2-person tent, but you think only 15 percent of Duplex owners use it for 2-person camping. Could that mean that it is too narrow for most folks who plan to backpack with a spouse or friend? The 45″ width doesn’t seem to allow for any inside gear storage or even room to move around during the night when sharing the tent with someone. Have you heard comments from folks who have tried using the Duplex for 2-person backpacking regarding how it worked for them? Secondly, and now looking at it from a solo hiker’s perspective, what do you see as the pros and cons of the Duplex compared to the newer Zpacks Altaplex (which hasn’t been reviewed yet, to my knowledge)? The Altaplex is lighter than the Duplex and wider and taller than the Solplex. The Altaplex probably has less ventilation than the Duplex, but likely about the same as the Solplex. If you didn’t already have your Duplex, would you buy an Altaplex instead? First issue regarding width… those folks I have talked with that have a Duplex and use it as a two-person shelter, all of them that I asked, said getting all of their gear into the shelter, along with themselves, can be a bit tight., which makes sense. Two regular sleeping pads side-by-side == 40 inches, leaving you with only ~5 inches to spare… not a lot of room. Unless both people are over 6 feet tall, there is still going to be a bunch of room at the head/foot of the shelter though. I am just not able to give a better (as in, from experience) answer to this Ron, its outside of my first-hand experience. Second issues… Duplex vs Altaplex. I have not seen nor slept inside of the Altaplex so I cannot comment on any comparison of these two shelters. All I can comment on is that, I would not give up the extra weight of the Duplex. I like the double doors and I like the liveable space — something I suspect the Altaplex does not have a lot of because of that huge back walk. But, again, never even seen an Altaplex, so, unfair for me to comment on it. I purchased the Altaplex. I have a bad back and wanted a tent I could walk into versus crawling. The higher profile probably catches more wind but it was a nice tent. I think a tall person would love it since they have plenty of room to stretch out. Before I could use the Altaplex my friend received her Duplex. One pitch and I was hooked..I will crawl into this tent anytime. Joe at Zpacks let me swap my Altaplex for a Duplex- the usual excellent customer service. I will admit the first thing I did when I got my Camo Soloplex was add a pocket out of noseeum net to it for my glasses! I love my duplex For all the reasons mentioned. I like the idea of the internal pockets Which in cuben fibre would add no weight. I am sure Joe and his team would add some for a reasonable cost. For me perhaps just an internal loop or such as I would then just clip in my “ting bag” that holds bits and bobs. I leave a tiny Filzer UFO light in the duplex all the time so no light issues Ever. on a small test I am going to attach a strip of led 5 volt light on the outside of my Zpacks Arc Blast. That will give me a help going through tunnels in Japan and also a nice source of light too in the Duplex. I will let you know if that works out well or not. What I did in all my previous ZPacks shelters was buy and install the stick on loop onto the walls of the shelter/bathtub and then would just hook on a glasses zip pouch. It worked, but pockets would just be nicer. I hang one of those Photon II LED lights from the top apex, basically the same thing you are using — or even more fun is when I take the Micro LED String lights. In the end, whatever works though, eh! Lastly, and what should have been said first, thanks for the donation! I have the micro string lights en route to me and think they will be good. I will modify them to be usb powered as I always bring a small USB power Battery for phone etc. It will be interesting to see how well all that works. In japan at very long tunnels there is a box with reflectors and lights you just use and then put them in the box at the other end. But the path is about a meter wide and trucks going by close is scary. Better after the tunnel when. You get back to the woods. The LED strip will help. Maybe we can convince Joe Visit. 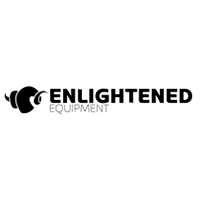 TO EMBED LED lights in his gear. Well. …. maybe not. Thanks John. Great review, it’s just too much scratch for my budget right now. On another note, how do you like the Static V Luxe? I saw that pad too and it’s calling to me. How did you trim it down and to what length/weight? How cold have you taken it down to? I have a set of photos that got posted on FB awhile back that shows weight and size and such. So far I am loving it. Monster of a pad, and takes a bit to inflate, but its made me happy! WOW!!! Thanks for sharing this Brian! This is a super helpful review. Best I’ve read. Which do you think offers more privacy from the outside looking in, the camo or the green .74?? Thanks for the kind comments! Without a doubt, the camo version offers the most privacy. Ok, I’m going to go for it!!! Again, awesome review, really answered all of the questions I had after researching on my own! Thanks!! I have added a video to the article “Daytime privacy” to help show how the camo fabric handles privacy – at least during the day. And great news about the pockets being standard now. Good work! Tactical toggles to close the doors are standard too now, by the way. That is very great to hear. I took the camouflage version because I’m going to stealth camp in Switzerland. I hope this color will be less seen on grassy/gravel/scree places. I suppose this fabrics should also be a bit tougher than 0.51 CF. Didn’t order the tape for repairs. Ductape will work fine with this fabric? I plan to use both items on my upcoming hike in the Alps. Will see. Hopefully will also write some review. Anyone know if they’ve changed the door closure system yet? I changed mine on my solplex similar to John’s but slightly different. I know there was talk somewhere that zpacks was thinking of changing that too. This photograph shows what they came up with. Some little hardware pieces being made by Dutch. It does not solve the “winter gloves” issue (that I initially discussed that started all these door mods) but it does at least resolve that stupid micro-binner they were using. Since receiving my tent, I understand that Joe has switched the hooks from being sown onto the door corners to being attached to the line-locs. I think having them on the doors makes them easier to unhook from the inside with one hand, so I prefer the way mine are designed. But I’ve not tried the new version. I think this is a great tent and the only one that light. Even it is really expensive, I think I would buy it (but probably the Soloplex). Too bad there isn’t the possibility to find them in the stores to try them out. That would make it way easier to find the right size. I would really love to see ZPacks invest the man hours into introducing a double wall Duplex. They made a prototype but it was never brought to market. For me, a double wall Duplex would be of much greater benefit than a free-standing Duplex. See net photo, side angle photo, and doors open photo. Affirmative. I’m wondering if you use the Flex with walking poles how much more wind proof it would be? Or are you suggesting that a cuben fly would act as a structural barrier as well? I have no insiders information on the Flex, so no idea on using walking poles with it… if it is necessary in stronger winds, or if it is even possible without screwing up the fabric tension from the frame. Me need some like duplex tent but double wall, and i want buy Six Moon Designs Haven Cuben Tarp + inner, it is good alternative? Or SMD Haven have flaweds? My only thoughts is that at 112cm wide it is on the narrow side for a two person shelter. Liked zipped doors, and for floating canopy allows the canopy to be set to different heights. its been awhile since any new posts…was wondering if you still feel the duplex is the best UL out there on the market…. im super concerned about the condensation and the efforts try to keep myself dry and warm… i sleep cold as is, seems it might be alot of effort nightly to keep wiping condensation off the walls…. please advise as im about to pull the plug on the duplex just ordered….. if there was a second favorite for UL that wasnt in the zpack family, what would that be? I do feel that the Duplex is the best single layer fully enclosed 2person shelters on the UL cottage market. >>> if there was a second favorite for UL that wasnt in the zpack family, what would that be? The Six Moon Designs Haven + NetTent is a double wall, fully enclosed, 2 person shelter. It is only a couple ounces heavier than the ZPacks Duplex, is double wall, offers the ability to have just a nettent for good weather bug season, and has a 6 inch bathtub floor (only two inches less than the duplex, yet still waaaay higher than most everything else out there) but the nettent unfortunately does not have a cuben fiber floor so waterproof groundsheet is required in wet seasons, and it is almost always in stock and can be at your door in a couple of days. 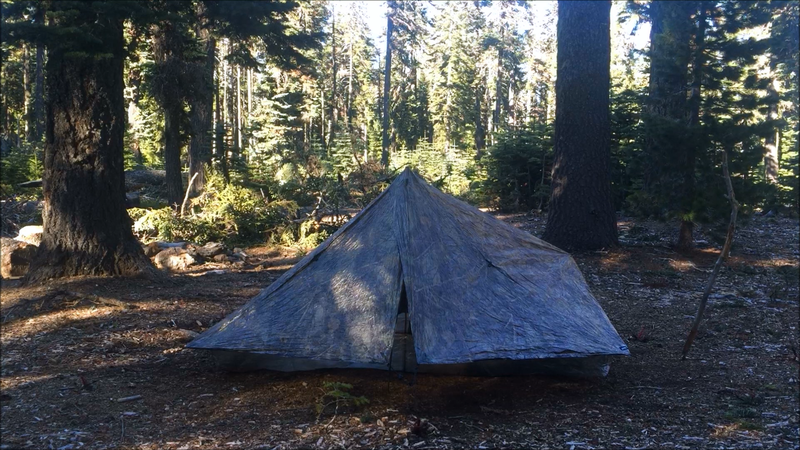 I thru hiked the pct with a duplex in 2016. I initially like it . as I got to know the tent better I found some serious flaws. first, the bug net lays right on the ground when unzipped and several other hikers had damaged zippers due to dirt ground into the zipper. Secondly the bathtub floor is too narrow and causes undo downward pressure on the bug net and seriously limits to possible space available. The customer service was horrendous. Joe was downright defensive and rude in correspondence. Most fellow thru hikers were very upset with zpacks deceptive business practices. I would never purchase from them again. Sweet!! Were you able to make it all the way up/down or did you get stopped by all those blasted fires that put an end to so many people? Well, yeah, if you are going to buy a shelter with a rainbow door, that is just a natural part of buying a shelter with a rainbow zipper. Inverted J-style doors have the same issue, of which there are many many many of them on the market. I would be with Joe on this one in not calling this a “serious flaw“… it is a natural aspect of the door style. That said, I understand the issue. A two person shelter that cannot fit two large size (25″ wide pads) I find very hard to give a thumbs-up on. Yeah, the bathtub floor height is freaking awesome, but agreed it would be really nice to be an extra few inches wider. That makes little sense to me. The only way I can see that happening is if the poles are too tall. Not questioning your ~3000 miles of use with the shelter and calling BS on you… just saying it makes no sense to me outside of the pole height factor. I have owned three duplex and never once had anything remotely close to this issue you have brought up, with the exception of my first one before I figured out pole height. Again, I do not understand how the ‘bathtub floor is too narrow’ has any equation on the bug net limiting space. Could just be a lack of clarification on your part as to why it makes zero sense to me. >>> The customer service was horrendous. Joe was downright defensive and rude in correspondence. If it was indeed Joe, that is unfortunate to hear. I personally think ZPacks is at a point where they are so diversified that things have changed from how they were four or five plus years ago. I think if you are going to call out a company and say they have “deceptive business practices” you should at least clarify the details of such a statement. Surely the issues you explained above do not qualify as a business having deceptive business practices. I am willing to call a spade a spade, and while I rarely find the need to do so, I do when it is justifiable. I have called out zpacks on a few things over the years. So do not see my comments herein as being a ‘fanboy’ and only standing up for them. Not the case. But at the same time… one has to be pretty clear about things if you are going to call out a company, and I am just not seeing the justification for the claim in your comment. Appreciate you taking the time to comment, but do wish you would have explained yourself better. I hope you recieve commission for my purchase! I do not receive commission from zpacks, but thanks for thinking of me!